The task of finding a sieve shaker that is well-designed and engineered, yet available at a low price cost has been very hard indeed, until the arrival of the Endecotts Minor 200. Many of the features usually found only on the larger, more costly shakers can be found within the Minor 200. 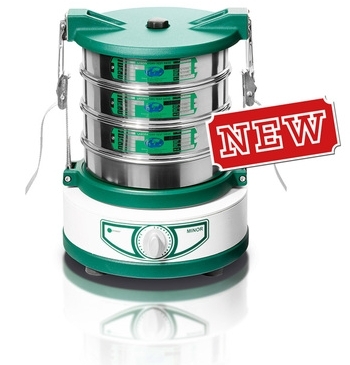 The Endecotts Minor 200 is compact and portable (just 17kg), making it perfect for laboratory or plant use. The sieve shaker benefits from having no rotating parts, which makes it quiet in operation and free of maintenance requirements. A clamping belt system holds the sieve stack firmly in place. The whole unit can be stored in a space less than 20cm high when this is removed.